Perhaps you have always planned to expand your home. Maybe your family has grown so much that an expansion is a necessity. There are options other than simply moving to a bigger house. You can simply hire a construction company to make some additions to your home. This is a good way to avoid having to move from your neighborhood to a different place. While there are several types of home remodeling projects that can enhance your space, room additions are particularly valuable investments for many reasons. It is typically cheaper to build an addition than to buy a new home that equals the space of your existing house plus addition. The first thing to do when adding a room addition is to hire a qualified contractor and then get a building permit. It is generally a good idea to keep the floor at the same level as the floor throughout the rest of your home. This means if you have a raised foundation, the room addition should have a raised foundation. Remember to extend the roof to cover the new addition. Consider raising or lowering the roof line for an improved appearance. Properly done room addition will increase available space, but will not make the home look worse from the outside. Utilities must be run to the new space and insulation must be added to the walls. Afterwards hang drywall and finish the project. All that is left is to decorate the addition, according to the purpose the space will serve. Adding square footage by constructing a room addition such as a family room or another bedroom will add to the value of your home. Converting a space that is used for one purpose into a space for another purpose is not the best type of room addition, and may actually cause your home to lose value. However, no matter what kind of addition, you desire, you must hire the right company for the job. The BOB Construction is one of construction companies Chicago, Illinois that employs an expert remodeling team that can build any room addition you can imagine. There are other ways than room additions, if you are looking to improve your home. How your house looks inside is extremely important. When done right, interior design can provide your residence with a soul and make living there far more pleasant. It can make the inside of your house more functional and comfortable. People usually decorate their homes, according to some theme. There are a variety of different designs for the house’s interior. In reality, practitioners blend different elements from several decorating styles together, but it’s crucial to identify the core aspects of each one. For example, Nautical style is based on white or sand colored foundation, with blue as the primary accent color. It aims to reflect the New England beach house spirit. The Scandinavian design pays homage to the simplicity of life demonstrated in Nordic countries. Scandinavian furniture design often feels like a work of art, although it is simple and understated. Other common characteristics include all-white colour palettes and the incorporation of natural elements like form-pressed wood, bright plastics, and enameled aluminum, steel and wide plank flooring. 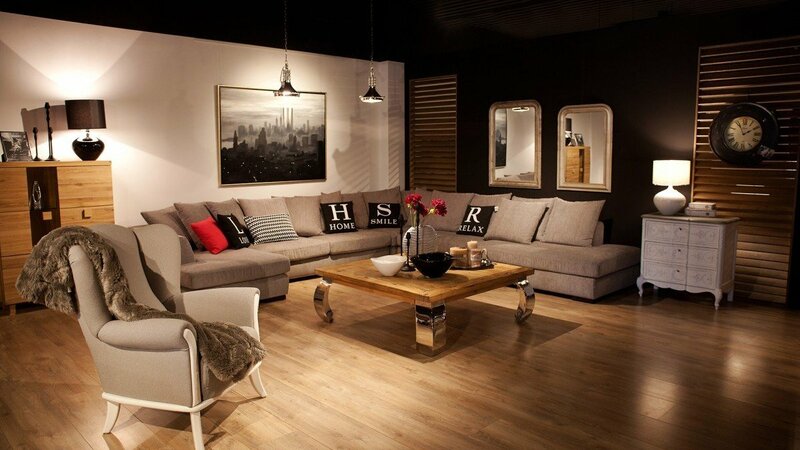 Spacious, natural lighting, less accessories and functional furniture characterize Scandinavian designs. Industrial style as the name implies, draws inspiration from a warehouse or an urban loft. An iconic home with an industrial design theme would be a renovated loft of a former industrial building. Think high ceilings, old timber and dangling metal light fixtures with sparse functional furniture. There may possibly be one or two pieces of abstract art or photography to add a dash of color to an otherwise neutral color scheme derived from the primary materials of wood and metals. While there are many different interior design styles, as the years go on, trends change. What used to be a popular design may be considered as tacky. Therefore, you might have to consider remodeling the interior of your home. It might be a full makeover or simply refreshing the interior and fixing any damages accumulated with time. Regardless, you should hire experienced home remodeling contractors in Chicago suburbs like Darek and Sons Remodeling. Whichever part of your house you wish to remodel, their highly skilled contractors will provide you with excellent service for a reasonable price. They will treat you with the care you deserve as their customer and meet all of your expectations. If you would like to know more, simply contact them and they will gladly provide you with any information you desire. The bathroom is one of the most used rooms in any home. You will spend a lot of time over the years in it so it is worthwhile making it a visually pleasant and comfortable space. There are many different ways to improve the look of your bathroom. That is, if you hire the right people for the job. The wrong remodeling company might completely ruin the bathroom’s look or simply do a mediocre job while causing you to spend a lot of money. When it comes to remodeling contractors Chicago, FRED Construction is a company worth checking out. Their remodeling contractors are some of the best on the market with years of experience in home remodeling. No matter what kind of changes you wish to make to your bathroom, they will be able to make your ideas into reality. When you decide to invest in a bathroom remodeling project, you want to make sure that the results not only please you but add value to your home and save you money on energy and water as well. A master bath that’s stylish and functional can also be discreet. That’s why it’s nice to hide this fixture away, either in its own “room-within-the-room” or behind a half wall. Think about the bathroom surfaces and what size and type of tiles should be used. Installing a brand new sink made from porcelain can enhance the look of your bathroom. Another major thing you could remodel is your shower. Removing your old bathtub and replacing it with a shower stall with frameless doors can drastically change how the entire room looks like. There are many different changes you can make to your bathroom. However, if you wish to have them done properly, you must hire a reliable remodeling company that will leave you satisfied with their services. The kitchen is another popular choice when people decide to have some home remodeling done. An updated kitchen can serve as a selling point and drastically increase the value of the residence. In addition, many homeowners spend a lot of time in their kitchen and a renovated space can make it more enjoyable. A backsplash is a great way to protect your walls and add an element of design. Backsplash ideas are nearly endless, so you can easily create one that blends in with the rest of your decor or one that stands out. One of the biggest things that can be remodeled to achieve a great effect is flooring and when it comes to kitchens, there are plenty of materials to choose from. Some prefer the classic look of laminate or ceramic, but there are also some interesting choices like distressed wood, bamboo, concrete, stone, or even carpet tiles. As long as you find a reliable company like, for example, Roman Home Remodeling Contractors Chicago, you can have your kitchen remodeled efficiently and for a fair price. Rather than some large remodels like new countertops or new floors that can radically alter your kitchen, there are some smaller replacements you can make to still give it a whole new look. 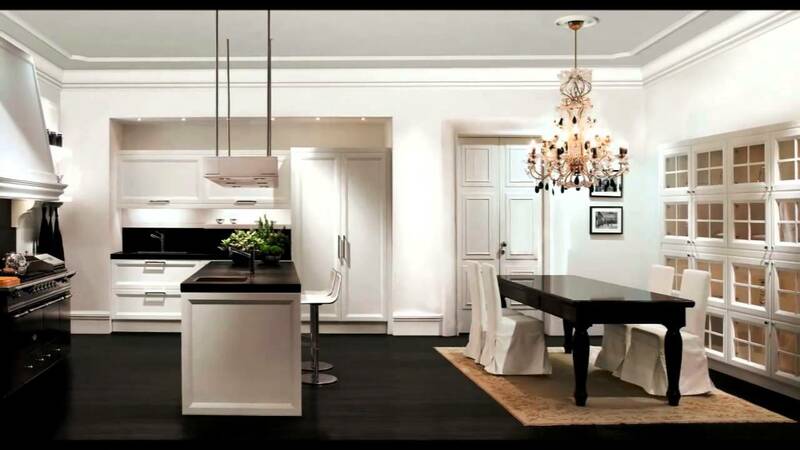 You could change the lighting fixtures in your kitchen, since they can make a big difference in your décor. Do not hesitate to play around with new possibilities. Consider things like chandeliers, track lighting, pendant lights, or even sconces to add a specific look and feel. Another thing you could have the remodeling contractors install is open shelves. They are a great way to make a small kitchen seem bigger. If you’re interested in a kitchen remodel, just to call a professional company like Roman Remodeling. They can help you determine your priorities and get started quickly. While making sure that the interior of your property looks beautiful, proper care should be given also to the outside. One way of doing that is installing a deck in your backyard, which will allow you to increase the property value of your home. 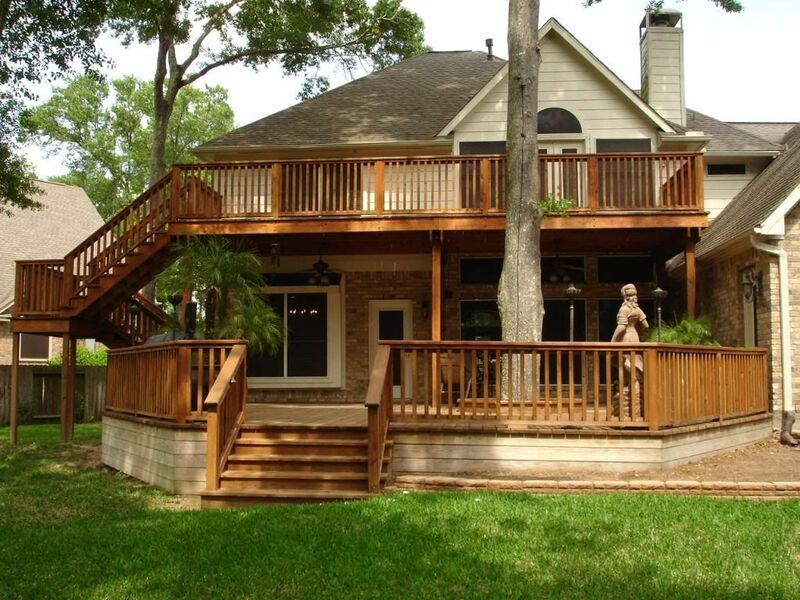 Potential homebuyers often consider a house with a deck more attractive than one without it. A deck is a great outdoor space for entertaining. It’s the perfect area to host a family dinner, a neighborhood gathering, or a barbecue. When the weather is nice, a deck gives you a great space for hanging out. Moreover, if you are looking to add some space to your home, a deck addition is one of the quickest ways to do so. Adding a deck creates additional usable space for your family. It gives you a defined area for a grill, furniture, potted plants, and so many other things. What does that mean? Less space used up in the yard! When you have a deck, your yard becomes freed up for other uses. You can use your deck as storage—just store some things underneath it to free up the yard even more. When deciding to have a deck, you should only the best available deck builder & decking Chicago company so that you end up with a high quality product. Adding railings to your deck can be a good idea for a number of reasons. If your deck floor is raised above a certain height, you might be allowed to have railings by law. They are also a great way to make your deck a safer place for people, especially little children. That is why you should get your railings and fences Chicago only from reliable companies. They will guarantee a high quality products along with excellent services and all for a reasonable price. Protecting the exterior of your home is very important for anyone who cares about their property and its value. Homes made using brick are known to be long-lasting – a brick may even withstand 100 years of abuse. However, the mortar that holds the bricks together is far more brittle. Qualified brick repair specialists – like the ones from the BART Tuckpointing Chicago company – are not usually repairing the actual brick so much as they are repairing the mortar around the brick. One of the most common, and effective, methods for repairing brick structures is something called tuckpointing. Also commonly referred to as repointing or pointing, tuckpointing is the process of removing and replacing deteriorated mortar joints. Over time, mortar tends to deteriorate. Not only are cracked and deteriorating mortar joints unsightly, but they also diminish the integrity of the surface and can allow water to get behind the brick or block and cause major damage. Any responsible homeowner will take steps to repair such damages before they can cause any serious damage to their building. If you see that the mortar has eroded five millimeters, or if you see any visible cracks or separations between the mortar and the brick, then it is time for some tuckpointing. This method is not as invasive as other restoration methods, but it does require a skilled and experienced person to ensure an excellent job is done. This is why you should contact only the most skilled and qualified masonry contractors in Chicago to get the best service you can get for money. Consider all the money you spend on tuckpointing as a worthwhile investment in your home. When properly cared for, brick houses can be some of the most beautiful structures and are often highly sought after by numerous people. Hire some professionals to take care of your home.